Jamie is a fashion and lifestyle writer, an improviser and a blonde. She has a tongue in cheek outlook on life and a passion for a good cocktail (or two). Can Your Cocktails Have Health Benefits Too? 3 Votes Up! Why This Veuve Clicquot Gift Is The Perfect Idea F... 35 Votes Up! The Easiest, 5-ingredient Mulled Wine To Stir Up F... 8 Votes Up! Scare Up Some Tasty Sips With Crystal Head Vodka 7 Votes Up! Why A Shaker & Spoon Subscription Needs To Be In Y... 4 Votes Up! Make Cocktails Your Tummy Will Love with Brew Dr.... 4 Votes Up! Why Summer Water Rosé Is The (Un)official Drink Of... 11 Votes Up! Ladies and Gentleman, the Spicy Ginger Cocktail 17 Votes Up! The (Un)official Cocktail Of Summer 9 Votes Up! Sip And Give Back With The 'F Cancer' Cocktail 17 Votes Up! Keep Your Cocktails Skinny This Cinco De Mayo 10 Votes Up! 5 California Cocktails Celebrating Pantone's 2016... 7 Votes Up! Gifts For Your Liquor Loving Valentine 5 Votes Up! Spend Valentine's Day With Ms. Monroe 13 Votes Up! Holiday Gifts For the Bubbly Loves In Your Life 5 Votes Up! Drinks Delivered To Your Door? Saucey Makes Our Dr... 2 Votes Up! Caulfield's Of Beverly Hills Pays Homage To Hollyw... 23 Votes Up! Are You Ready For Wine To Go? 3 Votes Up! Ortega 120 Takes You Back To School With Tequila U... 3 Votes Up! Celebrate National Lemonade Day With a Kick 8 Votes Up! Celebrate National Mojito Day With This Low-Cal Co... 3 Votes Up! Your Liquor Has Met It's Mixer Match With Paleta P... 2 Votes Up! The Front Yard's, Cranky J, Will Put A Serious Smi... 6 Votes Up! Holy (Frozen Cannoli) Cocktail! 12 Votes Up! 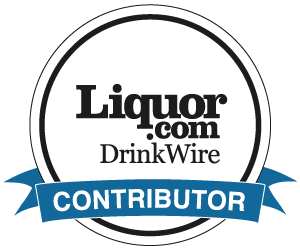 ​Four Roses Bourbon and Orange Cocktail Punch 61 Votes Up! The Moscow Mule Gets A Tequila Twist 4 Votes Up! Hey 19 Public House Spices Up The South Bay 3 Votes Up! Old Harbor Distilling Co. Arrives In San Diego, CA 2 Votes Up!